Now that we have a date and venue we can all look forward to Ryan Walsh fighting for the British title. It has been a long time coming for Ryan after building a very successful record under the guidance of boxing coach Graham Everett. It made sense to go looking for titles and with Lee Selby holding the commonwealth title it was a fight that Ryan wanted. 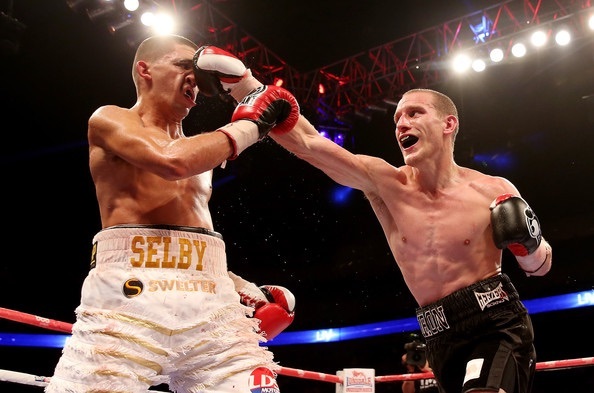 Everyone had written Ryan off going in to the fight, but he pushed Selby (now world champion) all the way. After his performance that night, other boxers in the featherweight division were not interested in fighting Ryan because he risked a lot with very little reward. It then became very difficult for him to rebuild and get back to the level he should be fighting at. After managing to secure the occasional bout winning and pushing his way back into British title level, the British boxing board of control made it mandatory for him to get the British title fight. Josh Warrington was the opponent who looked set for Ryan to share the ring with, but Warrington then vacated the title which paved the way for Samir Mouneimne to be the one selected to fight Ryan. Not only will Ryan be putting his own name down in the history books if he wins the British title, but it will also be the first time that twin brothers hold the British title at the same time with twin brother Liam Walsh holding both British and commonwealth titles. More info will be coming soon along with ticket details. « Norwich City A.B.C. coach talking champions!